Offshore 30-50 miles you can expect to catch Yellowfin, Albacore, Skipjack, Mahi Mahi and the occasional White Marlin. 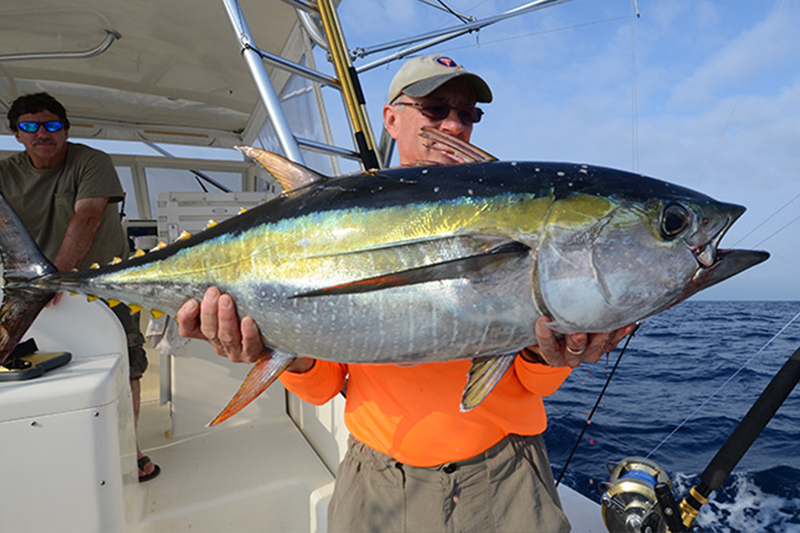 Closer to the dock 15-30 miles you can catch Bluefin, Yellowfin, Bonito, False Albacore and Skipjack Tuna. Tuna tend to show up mid-July and run into October. Visit the NOAA Fisheries HMS website for the recreational fishery compliance guide and for up-to-date regulations.